Darby Smart Box January 2017 Spoiler + Coupon! This month we’re sending brass tubing and everything else you need to create Himmeli decor. The Himmeli is a Finnish art form that is said to encourage positive vibes – the perfect DIY for a brand new year! I also received the Globe box instead of the January box. I signed up in December and received a wood burning box and now I receive last months box. I’m kind of disappointed! I was looking forward to a new box in January. I think I’m cancelling my subscription. My box last year came with a broken item that I need to email the company about. But a diy globe was delivered yesterday and I’m so disappointed, I don’t know what I’m going to do with it. When I thought it was this plant project, I was super excited but now I’m thinking I’ll donate this. Hey Kim, This is Alex from Darby Smart. Thanks for writing – Our TO DIY FOR Boxes are always brand new for you. We look at your shipment history and base shipments off of that. In the case of the globes, we had a ton of special requests for these after December’s shipment went out and we ended up ordering into more for our first box free customers versus sending inventory that was left over because so many people had requested them and felt they missed out on the globe shipment. The value of these boxes are $30.00/each, so Darby Smart actually lost money on this DIY, but we wanted to get them to our loyal members this DIY because it was so highly sought after and loved by so many people! We were anticipating a ton of positive feedback on making sure we got those who were unable to receive this box last month the DIY this month, so we are bummed that you were not as excited to receive your shipment as we were to get it to you! I used the link to order this box, but I am only able to get the free box. I’m afraid I’ll get something different for the free box & I really want this one. Can anyone help? Hey Christy – This is Alex from Darby Smart. Did you already complete the order? If not, you can sign up to for sure get the January box here – https://www.darbysmart.com/projects/mystery-diy-kit. Shoot us an email at [email protected] and we can get you fixed up if you already submitted the order for the free box as you won’t receive Jan’s box if you ordered that one. I just signed up myself, at like 1:30 EST. Please tell me my first box will be the January box! The Himmeli is the whole reason I even decided to try out the box! I looked into your order. 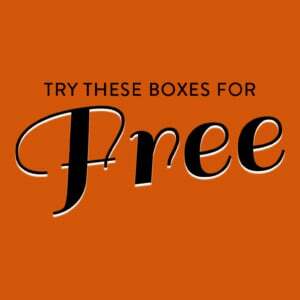 It appears that you ordered with the first box free offer which we do not guarantee you will receive the current month’s offering. We like to send a special welcome box for our new subscribers who use this offer! Looks great! I signed up with their earlier promo making this box only $9 I believe? This looks like a lot of fun and I really like the look of them. I wonder if it comes with the plant haha.